Welcome to Sauk Valley Community College. At Sauk, we are dedicated to teaching and scholarship and engage our Sauk Valley communities in lifelong learning, public service, and economic development. Located on the beautiful Rock River, the College is a vibrant collection of educators who create inspiring and supportive environments where every student and every community partner is valued. Stop by and let us assist you in becoming the next Sauk Success. Dave began his tenure as the President of Sauk Valley Community College in July of 2015. He serves on the Board of the Dixon Area Chamber of Commerce, KSB Hospital, Rock River Hospice and Home, and the Sauk Valley Community Leadership Program. Prior to coming to SVCC, he served for 28 years as an administrator and English professor at community colleges in Florida, Minnesota, and Kentucky. Dave has taught graduate courses in ethical leadership in Minnesota and Kentucky, and he is the editor of and contributing author for Ethical Leadership in Community Colleges: Bridging Theory and Daily Practice. He earned his Bachelor of Arts in English from DePauw University, his Master of Arts in American Literature from Indiana University, and his Ph.D. in Higher Education Administration from the University of Florida. His wife Linda is a clinical psychologist; he and Linda are parents of three wonderful adult daughters and have two even-more-wonderful grandchildren. Dave is the fourth of eleven children and grew up in a small Indiana town. He is a cyclist and a life-long Packer fan. 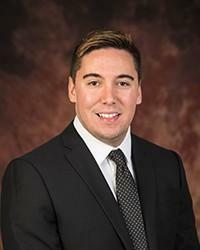 Joe started at Sauk as an Academic Advisor in the TRIO Student Support Services program in the fall of 2014. 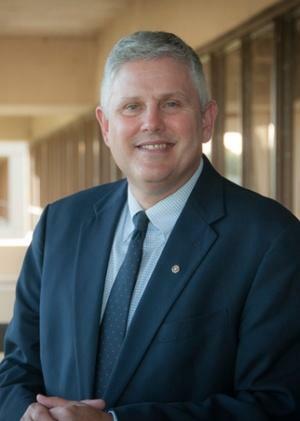 In the fall of 2018, he became the college’s Director of Research and Planning. He is also a board member of PFLAG Sauk Valley, a member of the Sterling Main Street Board, and currently serves as President of the Whiteside County Senior Center and Public Transportation Board. Joe began his career in higher education by serving as a Community Outreach Worker in the Sauk Valley region with the Illinois Student Assistance Commission. He graduated from Augustana College with a Bachelor’s degree in Political Science (International Relations) and International Business (Finance) in 2013. In 2017, he received his Masters of Public Administration degree with an emphasis in Strategic Public Management and Leadership from Northern Illinois University. Although he no longer works with students in an advising capacity, he maintains an active presence at Sauk by serving as a member of the Single Parent Scholarship Committee and the Chris Byar Memorial Student Assistance Fund. He also continues to help as a Success Coach for Sauk students and serves as a co-advisor for the P.R.I.D.E. club. 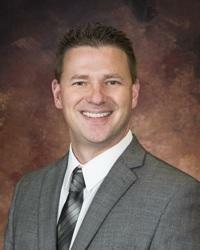 Joe is a lifelong resident of the Sauk Valley region. Currently, he resides in Sterling with his fiancé Keegan and their cat Eva. 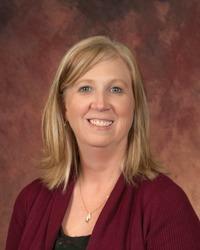 In 2014, Lori was welcomed to Sauk Valley Community College as the Director of TRIO Student Support Services. In 2016, Lori began her role of Dean of Foundation, Grants, and Government Relations. In 2018, her role expanded to include marketing. Lori’s tenure in community colleges dates back to her days as a student at Delta College, where she earned her associate's degree. She subsequently earned her Bachelor of Arts and Master of Arts in History, and her Ed.D. in Higher Education Administration from Central Michigan University. In 2008, Lori began her role as an adjunct instructor for Mid Michigan Community College where she continues to teach online. Lori is currently President of the Whiteside County Senior Center and Transportation Center. In 2009, Lori married her high school sweetheart who is a Learning Designer at Saint Leo University. They reside in Sterling and together, they enjoy fine arts and community events. 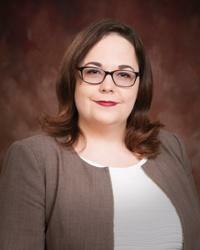 Melissa began her career at Sauk Valley Community College in February of 2011 as the Business Manager. In October of 2013, she was promoted to the Director of Business Services and later was named Dean of Business Services in July of 2015. Prior to coming to the College, she was employed by Halo Branded Solutions for 11 years as a Staff Accountant. Melissa is a two-time graduate of SVCC--first in 1996 with an Associates in Science, General Education and again in 2000 with an Associates in Applied Science, Accounting. She earned her bachelor's degree at Ashford University in 2011 and her Masters in Business Administration from Columbia Southern University in 2015. Melissa currently serves as a board member for Bureau Valley School District and is an active participant in the SVCC Single Parent Committee. Melissa resides in Walnut, Illinois with her husband, Pat, who is employed as a water well driller. They are the parents of two children. In his 10 years at Sauk, Eric has served in Information Services, developing the website and integrating software systems prior to assuming leadership of the area in 2017. As Dean of Information and Security, he is responsible for the College's computing and technology infrastructure as well providing leadership for physical and cyber security. Eric earned a Bachelor of Science in Business from Pensacola Christian College in 2001 and anticipates completing a Master of Education in Digital Learning and Leading from Lamar University in December 2018. 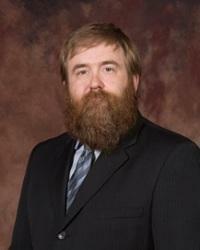 A lifelong resident of the Sauk Valley area, Eric resides in Rock Falls with his wife Robyn, two sons, and daughter. He serves on the board of the Blackhawk Hills Regional Council, Rock Falls Chamber of Commerce, Harvest Time Bible Church, and the Twin City Farmer’s Market. During his 22 years with the College, Steve spent 16 years serving students as a faculty member in the Department of Biology, 14 years as Phi Theta Kappa Honor Society Advisor, and two years as President of the Faculty Association. He has spent the last six years in administration at the College in various roles. In his current role as vice president, Steve provides leadership over academics and student services, the Small Business Development Center, adult education, and student recruitment. Steve has served as a Higher Learning Commission peer reviewer since 2012. He currently serves on the Home of Hope and the Sauk Valley Chamber of Commerce Boards, and is a member of the Dixon Rotary Club and Rock River Development Authority. He earned an associate’s degree from Southwest Virginia Community College, a Bachelor and Master of Science in Biology from Virginia Tech, and an Ed.D. from Ferris State University. 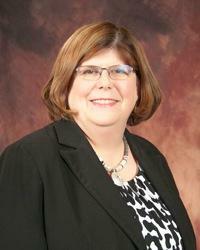 Kathryn Snow began her employment in 2004 as the Director of Human Resources. She is a member of the Dixon Kiwanis. Prior to coming to SVCC, Kathryn worked for 16 years as a human resource professional in the not-for-profit and private industries. Kathryn is a graduate of Black Hawk East Community College with an A.A.S. and A.A. degree, and Western Illinois University with a Bachelor of Business.